This entry was posted in Uncategorized and tagged books, Ilona Andrews, pictures, Samit Basu, William C. Dietz. Bookmark the permalink. In many cases, I asked the publicity people via their publically-available email addresses, and gave them a good idea of who I was and where (or whether) I’d be talking about their books. 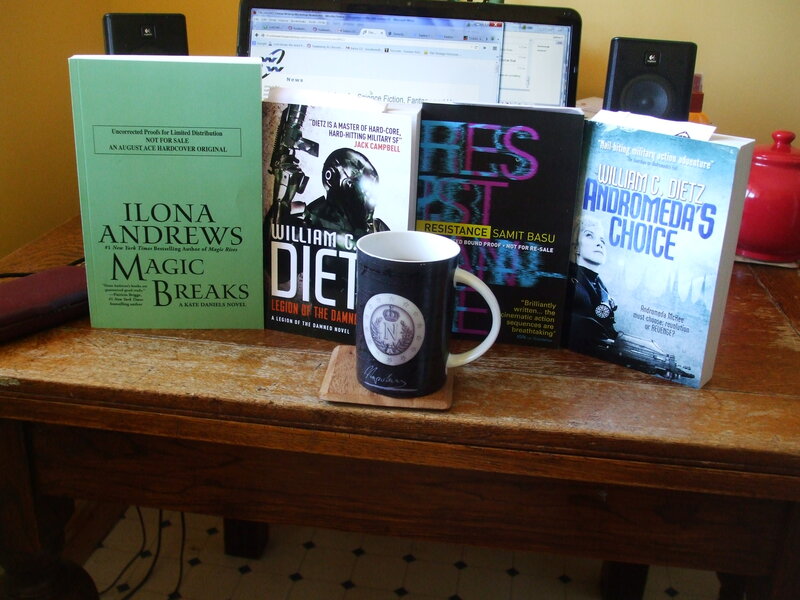 Mind you, MAGIC BREAKS came to me from Tor.com on assignment – a lot of books come that way, too.